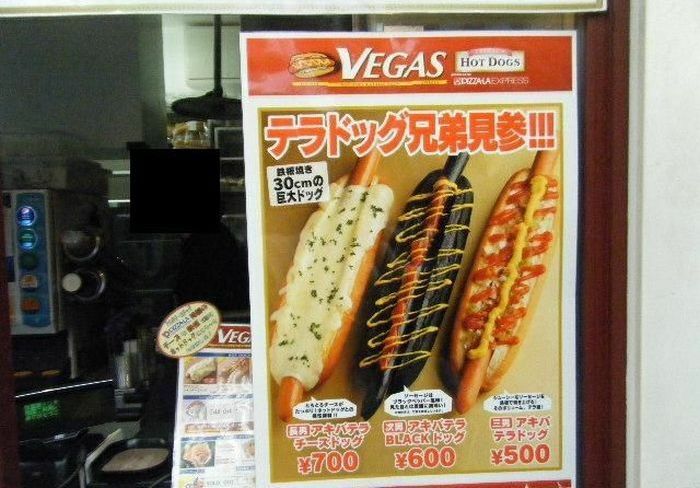 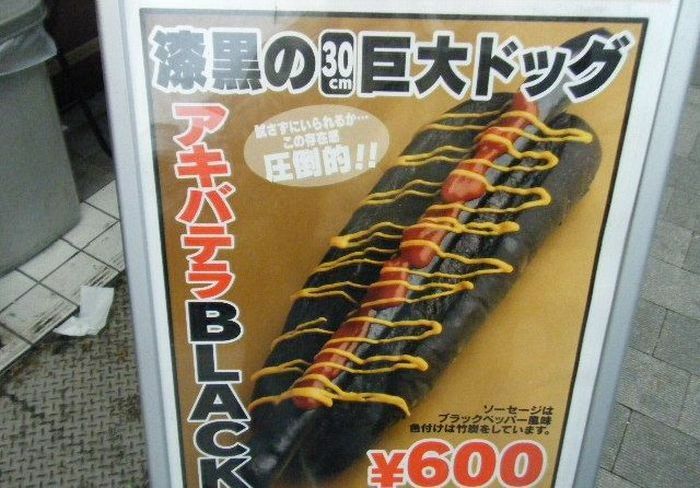 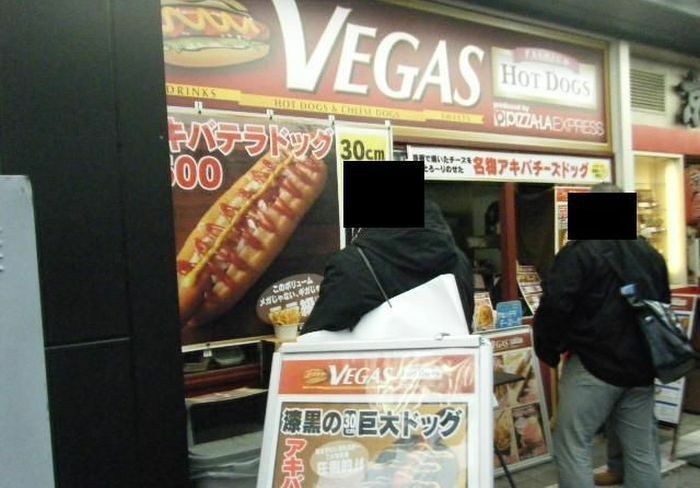 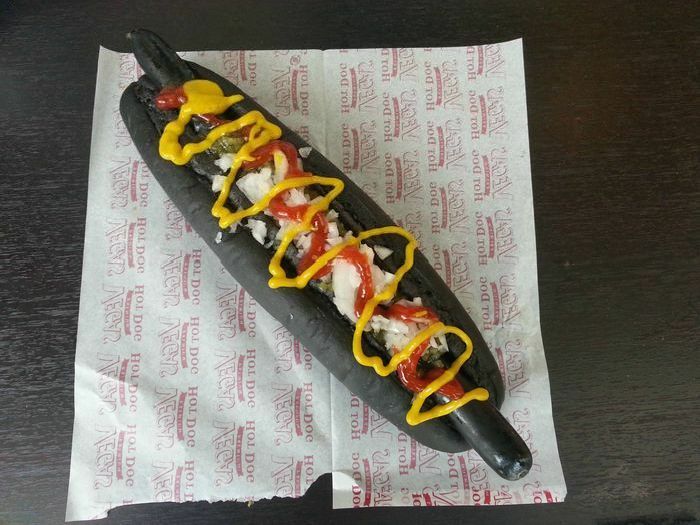 You can buy a black hot dog in Tokyo, Japan. 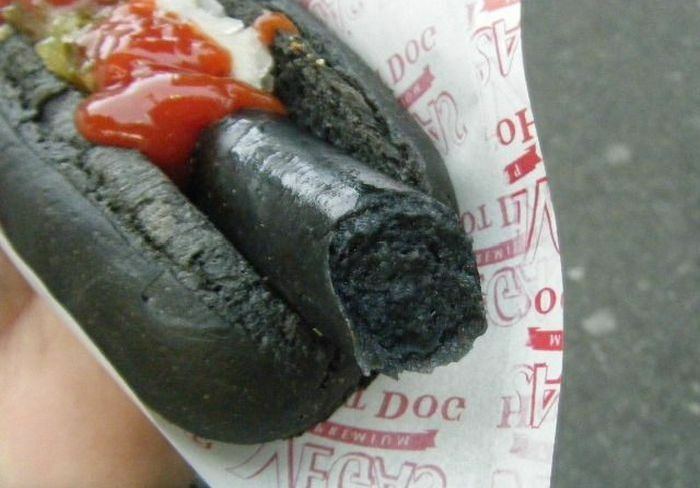 Squid ink is used to make hot dogs black. 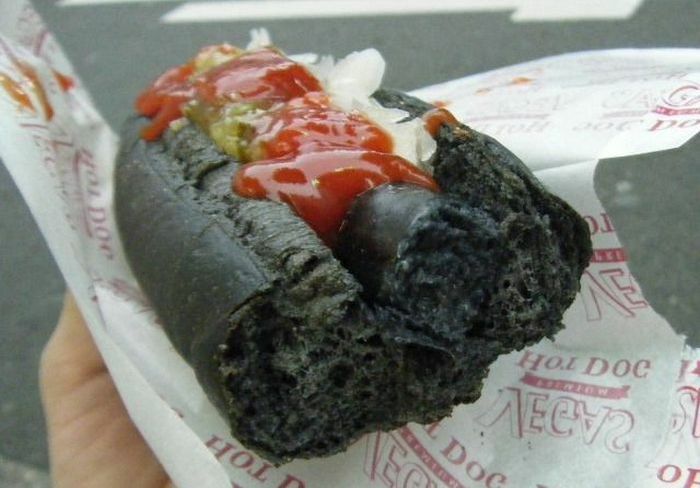 Squid ink imparts no taste whatsoever. 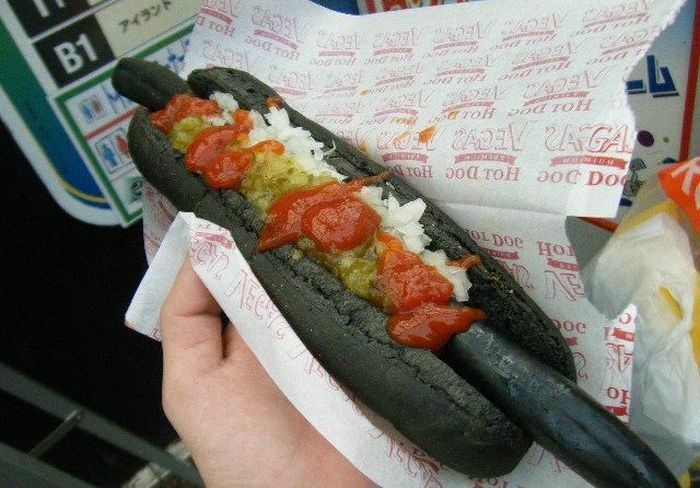 It's just food coloring.